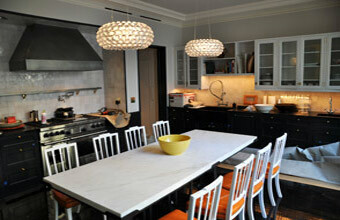 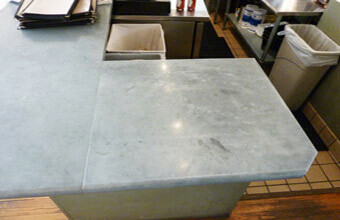 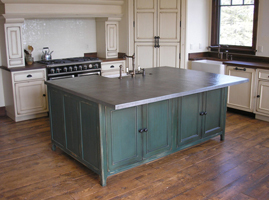 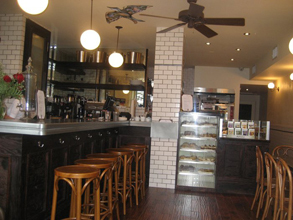 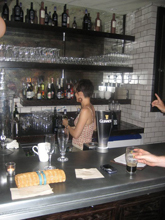 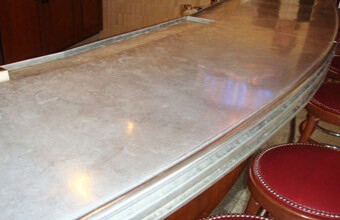 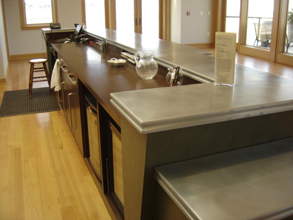 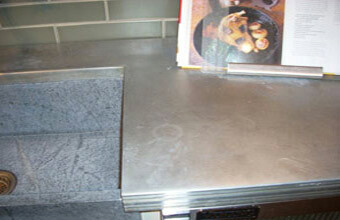 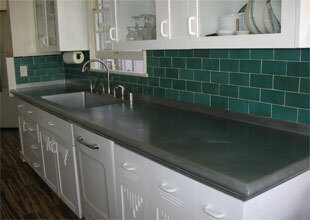 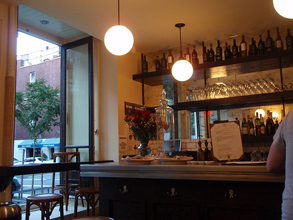 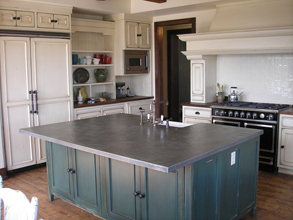 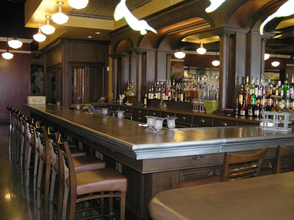 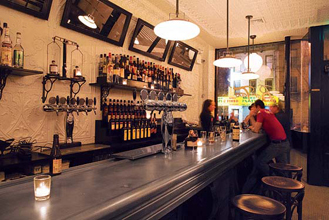 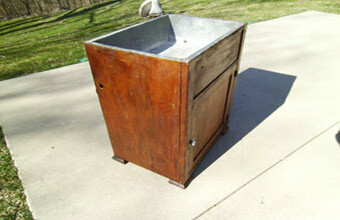 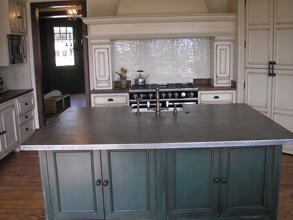 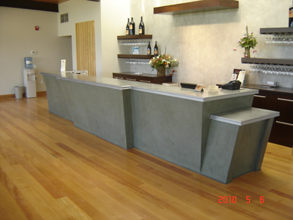 Custom Countertops - #4788 | Handcrafted Metal Inc. 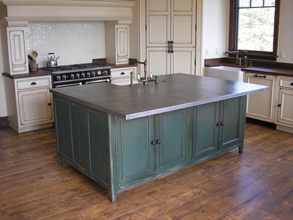 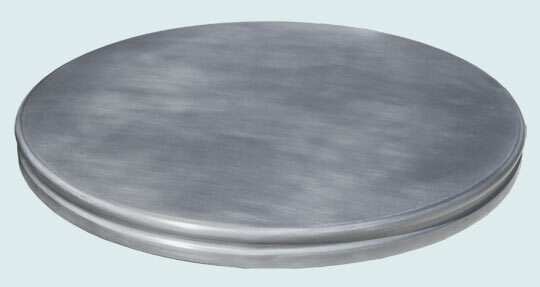 This round island top features seamless construction. 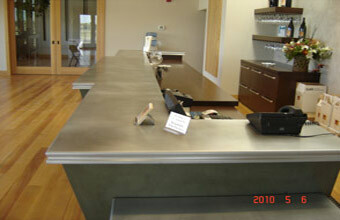 The curved perimeter requires us to weld the edge onto the deck with an invisible weld. 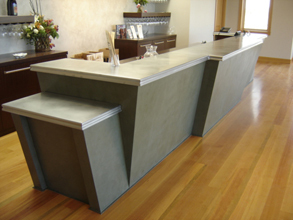 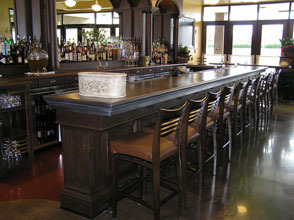 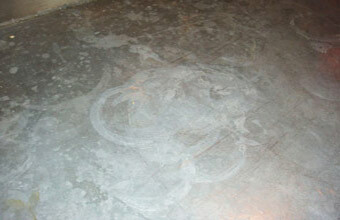 We built this top with 1 layer of substrate and solid fill edges to allow installation over an existing round table top. 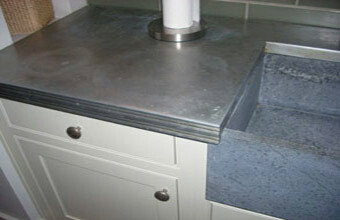 16 gauge all welded zinc, natural finish.